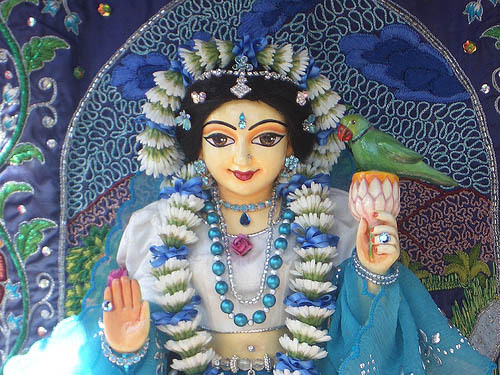 "I am very glad to know that you are seriously taking to Srimati Tulasi Devi worship. Tulasi Devi is a pure devotee of Krishna and she should be treated with the same respect given to all Krishna's pure devotees. Simply by worshipping her faithfully, a devotee can get himself free of from all material miseries. "So from this verse we can understand how pure is the service which Tulasi offers to Sri Krishna. So we should always endeavor after becoming servant of Tulasi Devi."